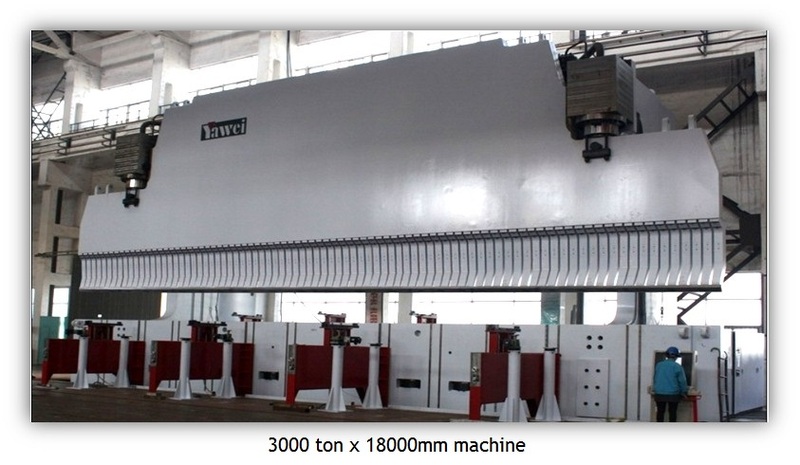 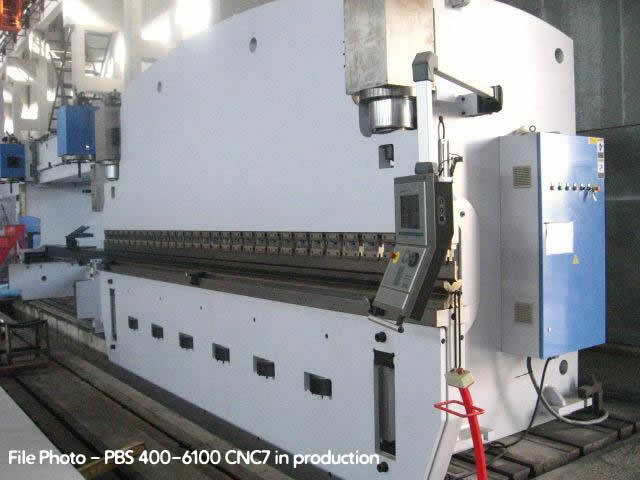 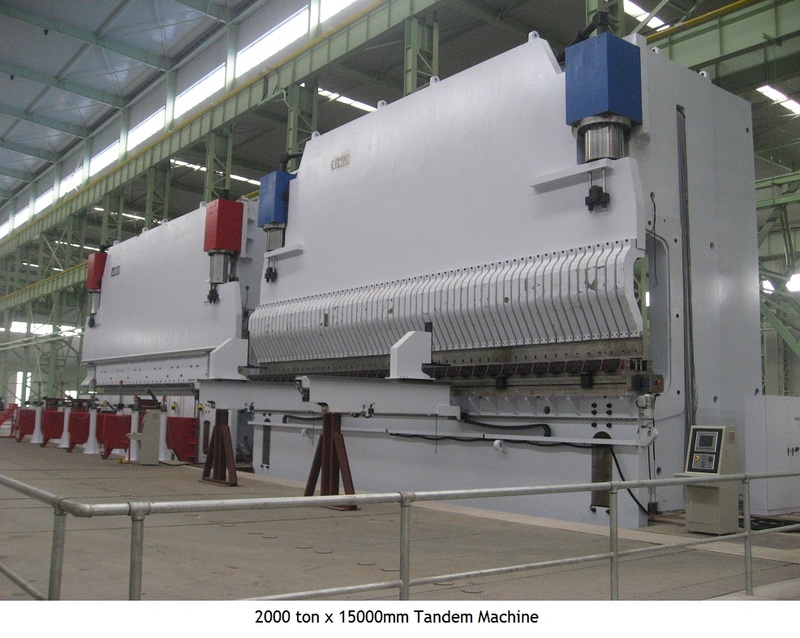 Brief Descriptions : hydraulic synchronised CNC, 500 ton bending force, 6200mm maximum bending length, 4 axis CNC (Y1, Y2, X, & CNC crowning compesnsation), Delem DA-66T CNC control. 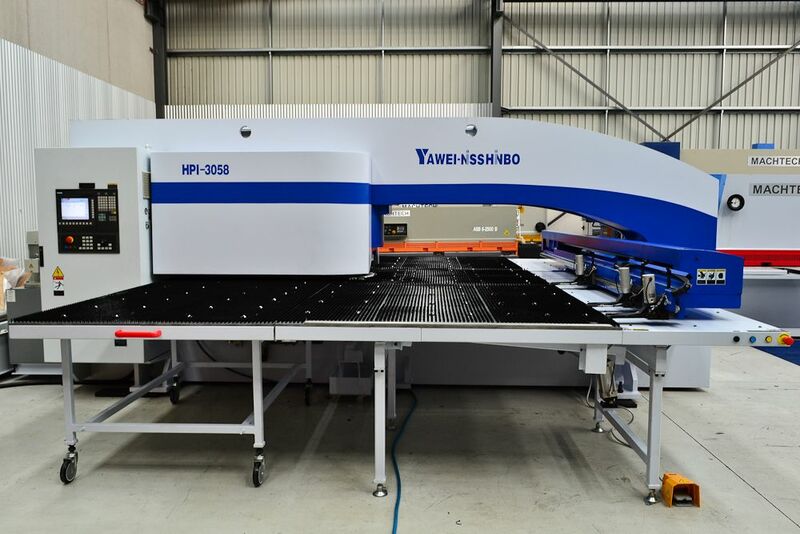 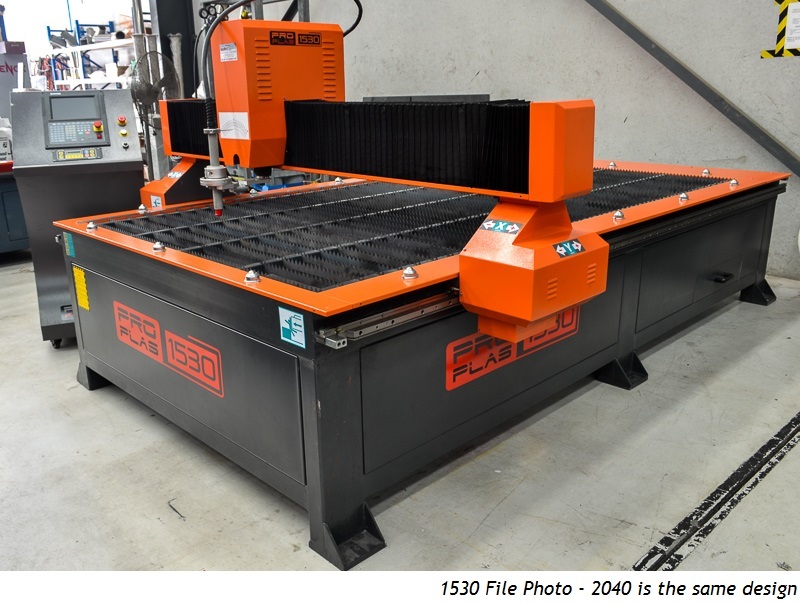 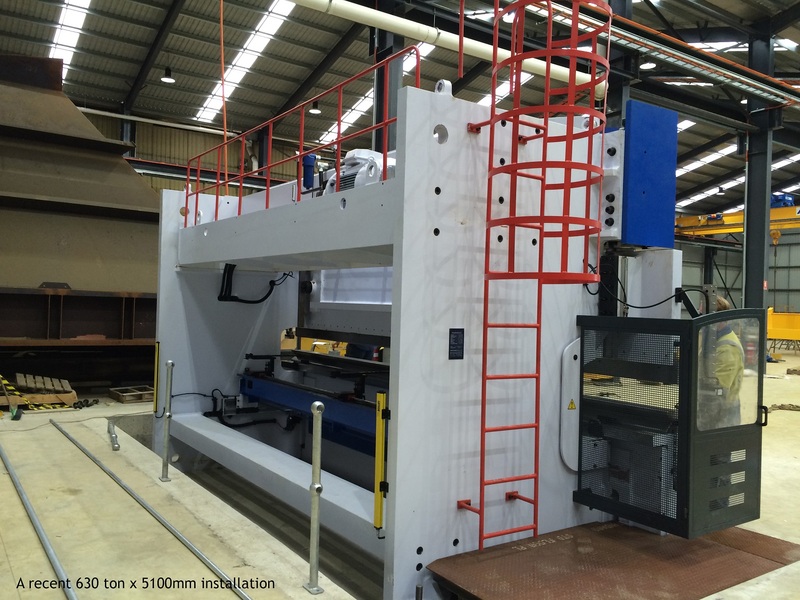 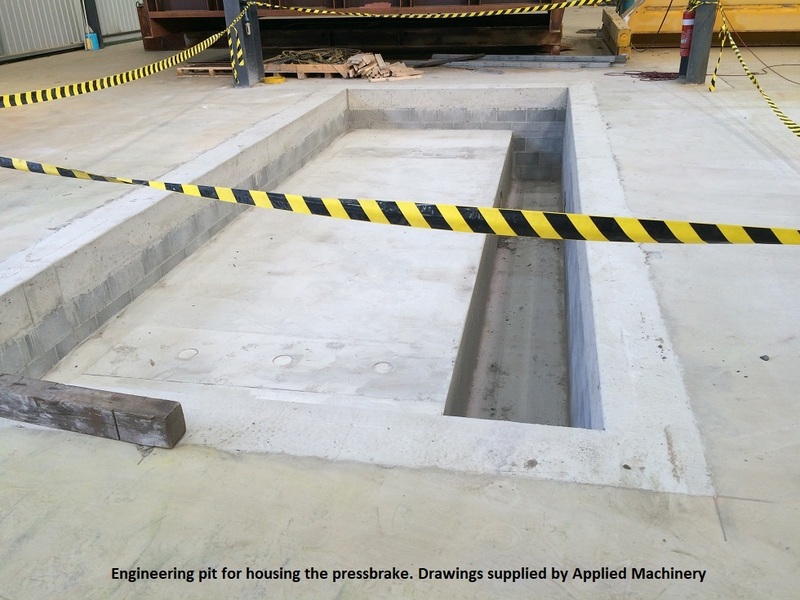 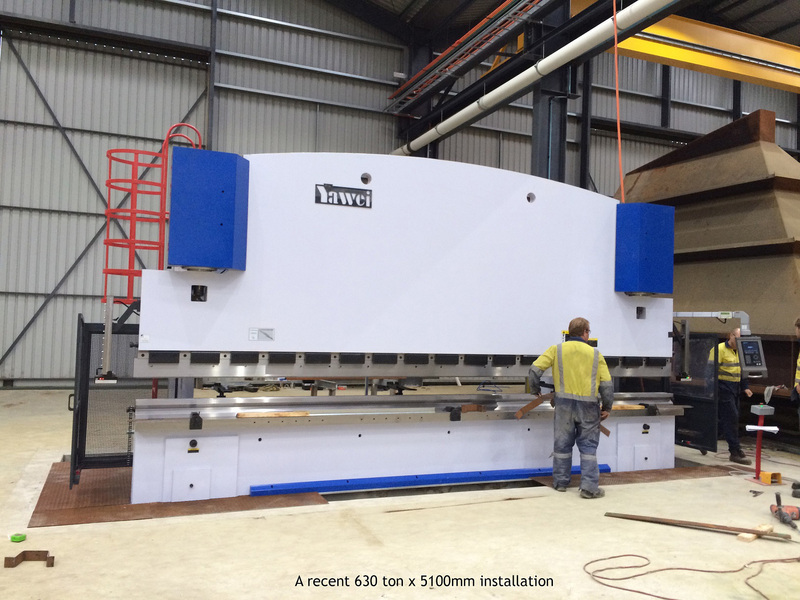 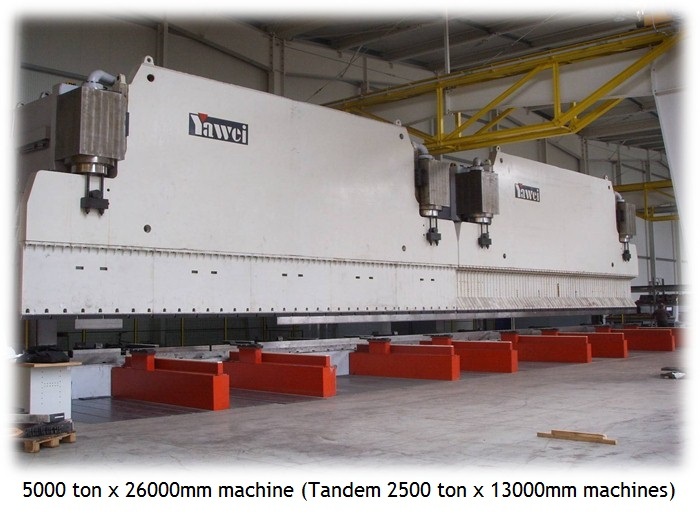 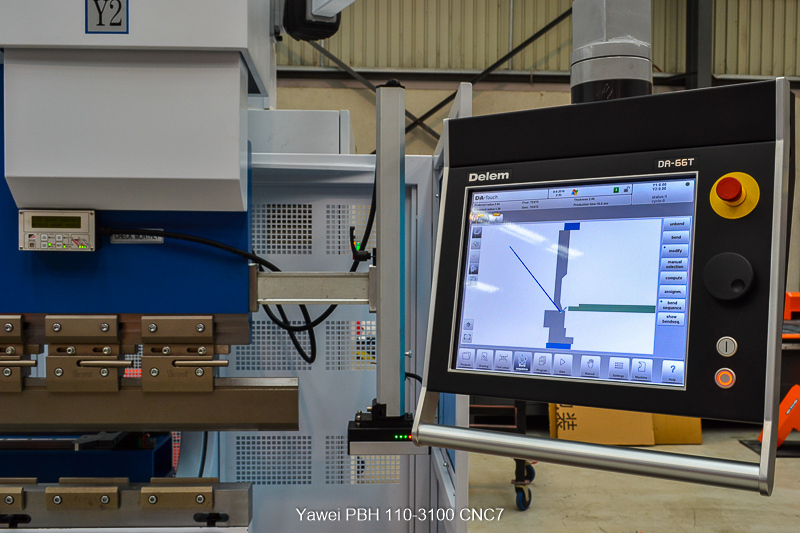 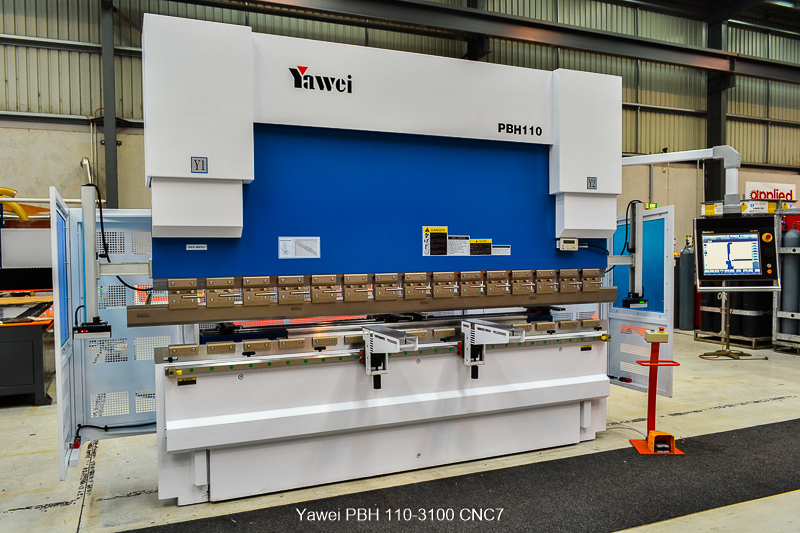 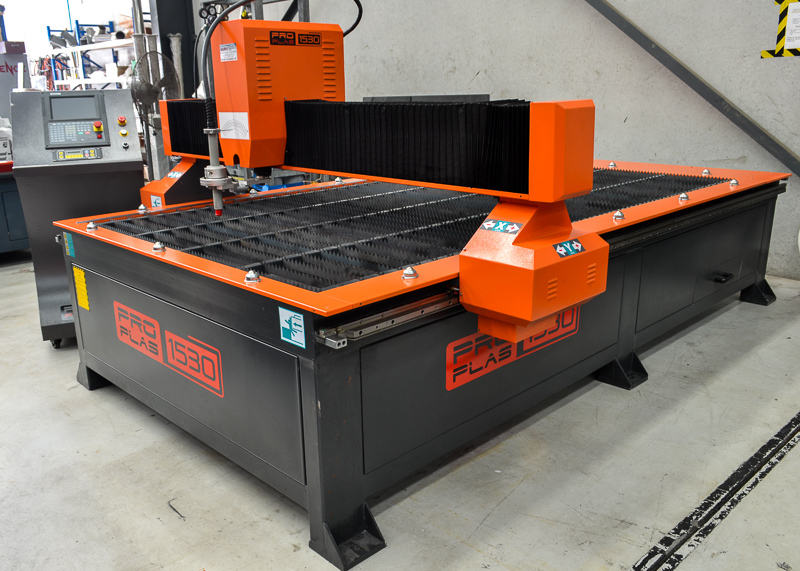 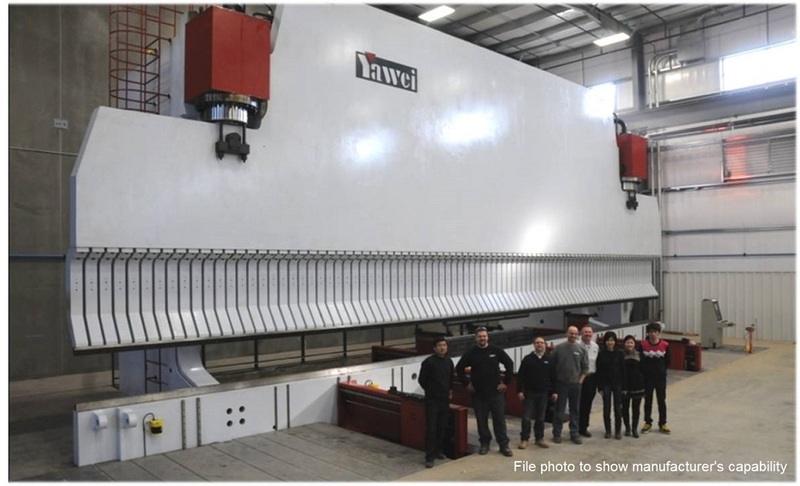 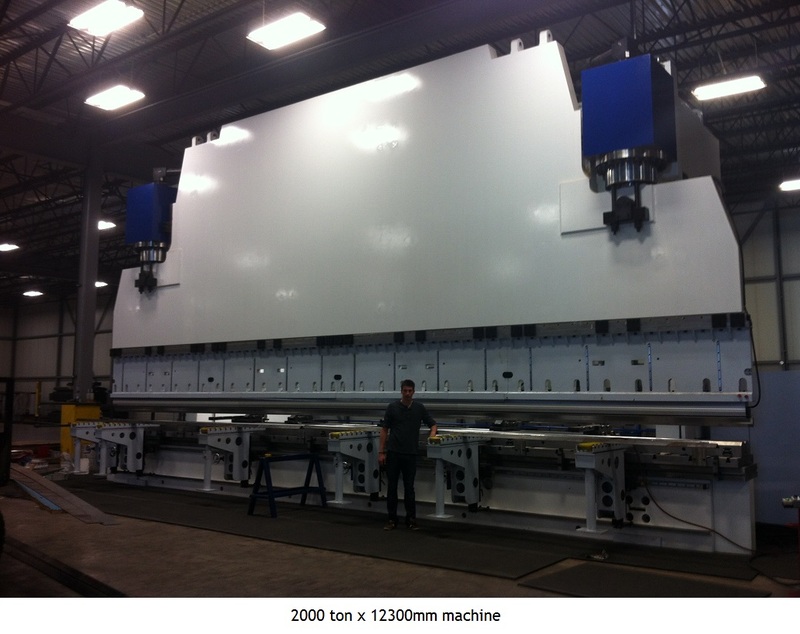 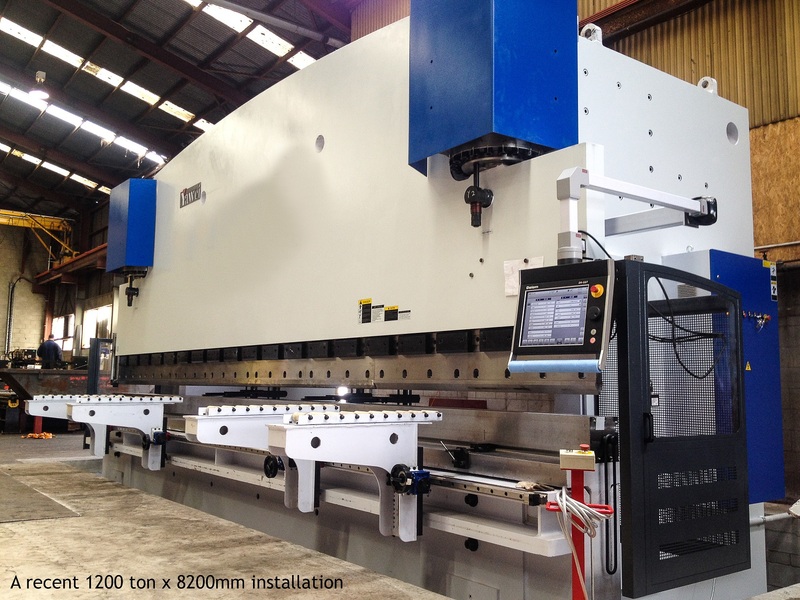 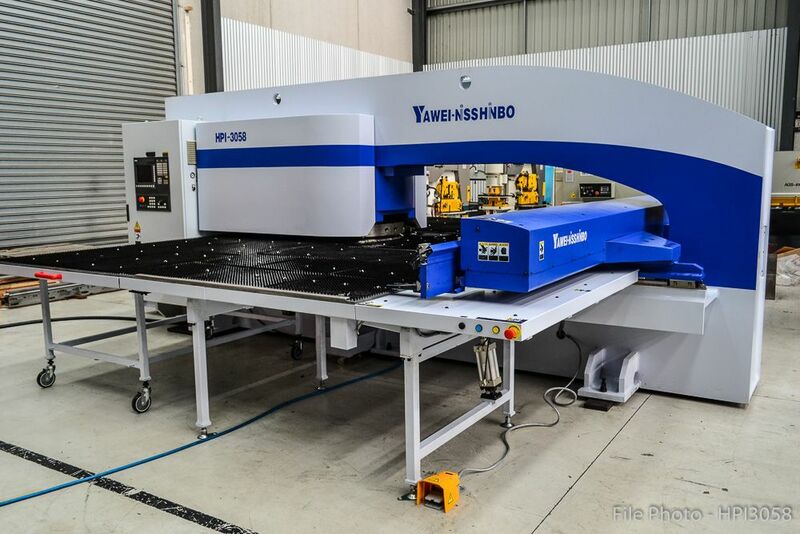 New Yawei Heavy Duty CNC Synchronised Pressbrake, model PBH 500-6200 CNC4. 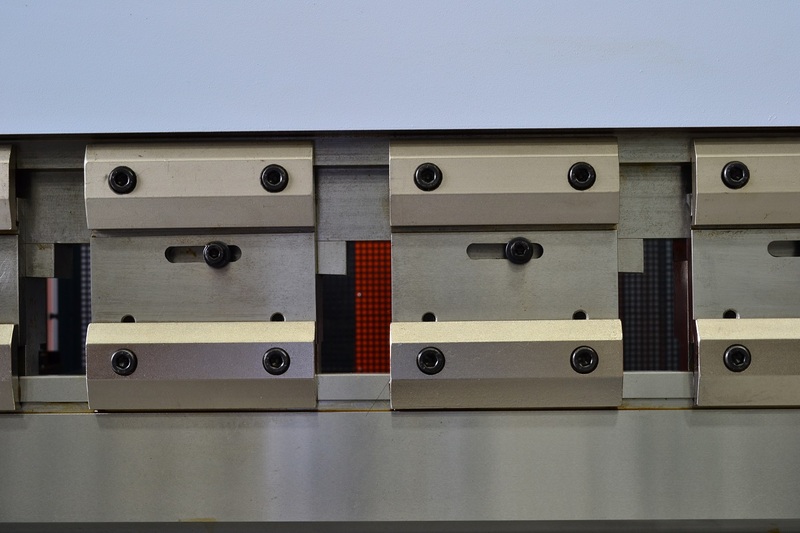 2 front sheet supports moving along a linear rail with lower roller support.